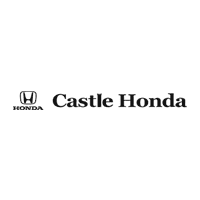 At Castle Honda our team of automotive financing professionals is ready to go to work for you. It’s our goal to find a car loan or Honda lease near Chicago, IL, that meets your needs. We work with a network of financial institutions to ensure you get a competitive interest rate. Let the staff at our Honda financing center make the process of buying a Honda Accord, CR-V, Civic, Fit, or Odyssey easy. Complete our online finance application and we will contact you shortly. Your financing information is safely encrypted in digital format and is never sent through e-mail. Have you picked out the new Honda, or used car, you’re planning to purchase? You can browse our current inventory online where you will find prices, pictures and details about all of the vehicles currently in stock. If you have additional questions, please contact us at (847) 965-8833. We are your destination for Honda financing near Chicago.